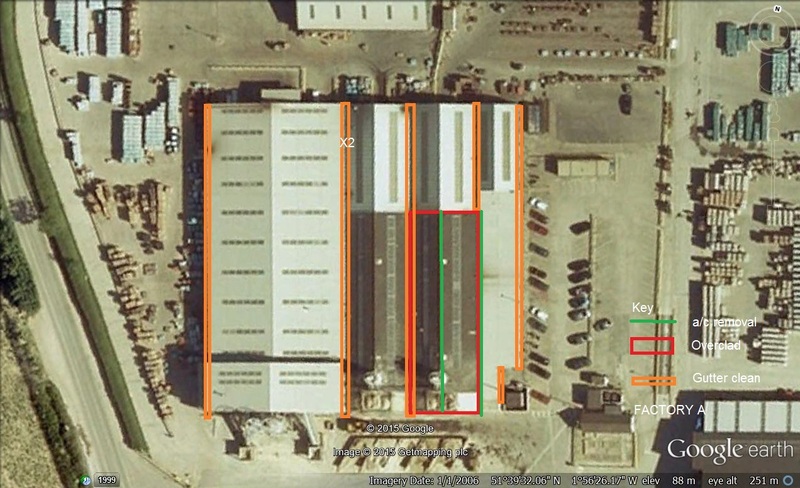 Reactive Integrated Services were awarded the Contract to over-clad the existing asbestos cement fragile roof covering to the Aggregates Workshop Building at Ashton Keynes. 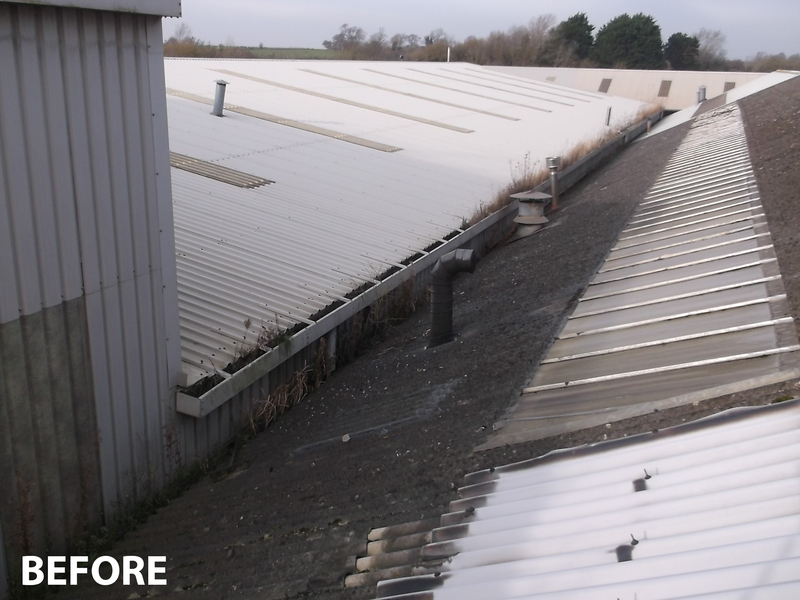 Other awarded works included the site wide clearance of all asbestos cement gutters and gutter joint sealing works and the installation of a rubberised Plygene gutterliner to the workshop valley gutter. 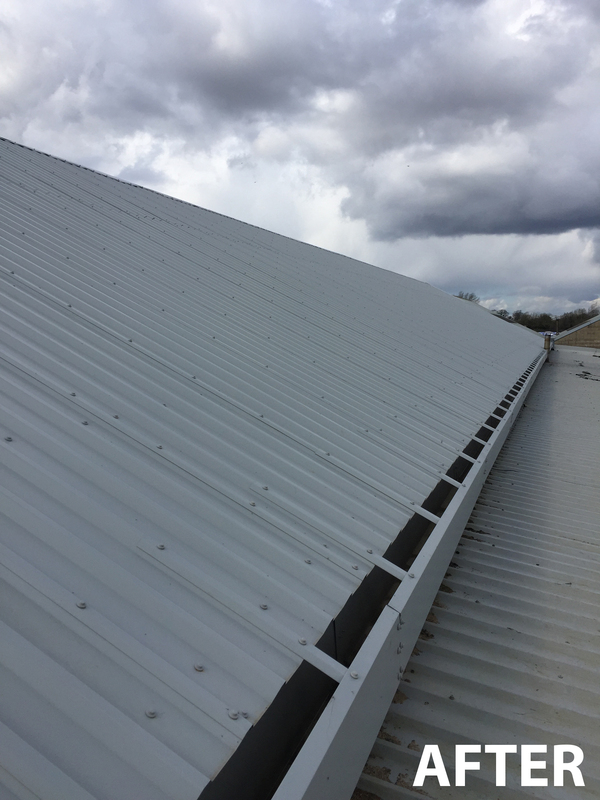 The roof over-clad works involved fixing a galvanised steel tech bar and bracket system, fixed through the asbestos cement sheeting and into the heavy gauge steel trusses. 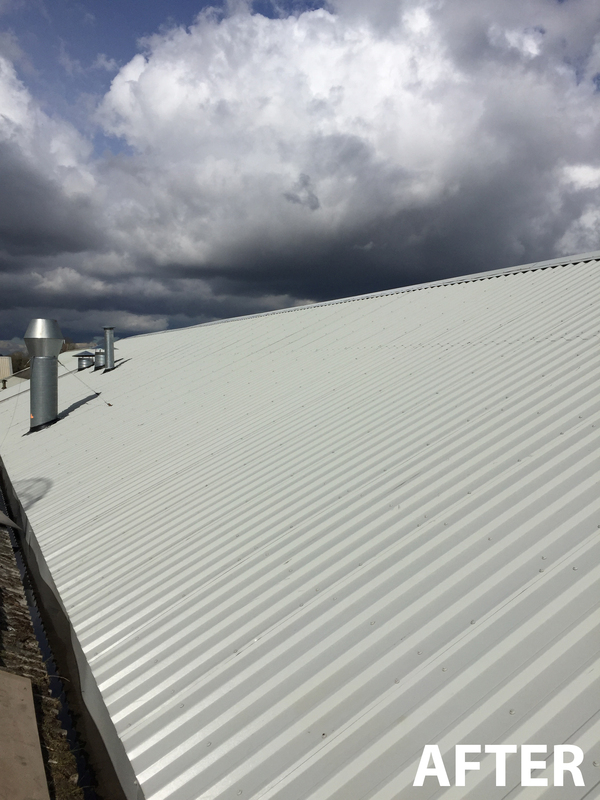 Once all bars and brackets were installed, the roof was then over-clad with 0.7mm gauge profiled steel cladding with bespoke flashings and trims. 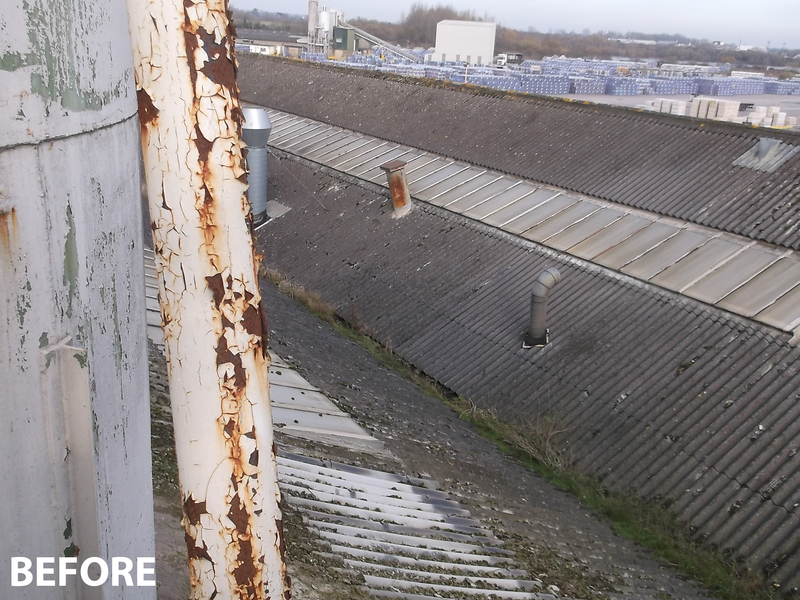 Existing flues were retained and weathered using Dektite flashing kits. 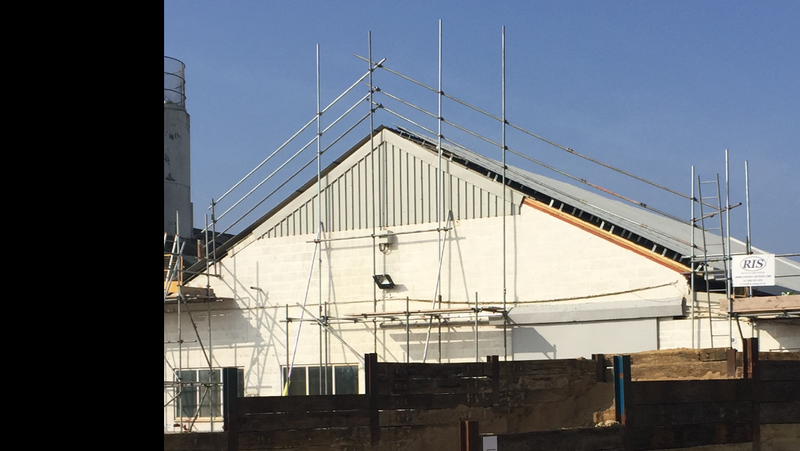 With the roof being classified as a fragile roof, works were undertaken using man anchors, inertia reels and harnesses, staging boards with handrails in addition to traditional edge protection scaffolding and loading tower to ensure the works were carried out in a safe manner.